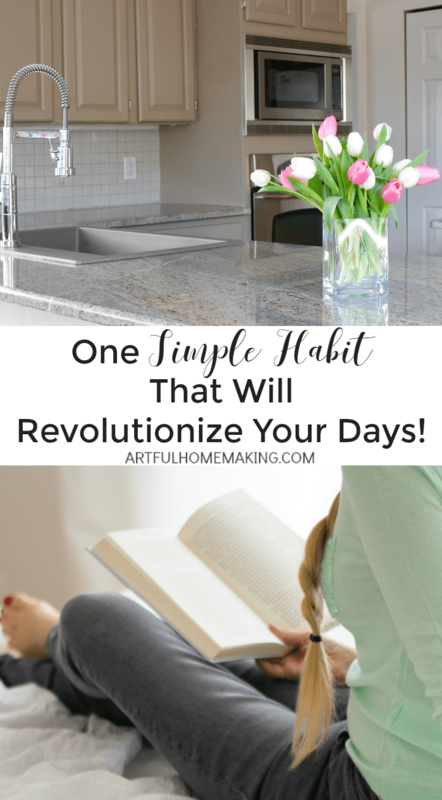 It’s amazing that just one little habit can revolutionize your days. Are your days stressful and overwhelming? Do you wake up to disorder and chaos, wishing things were a little more peaceful? Maybe you woke up late, without a plan for breakfast and now the kids are hungry and you’re not even sure where to begin. I’ve been there, too. I know how discouraging it can be to wake up feeling like you’re already behind. Some seasons are just hard. It could be that you only have small children and everything is resting on you. Maybe you’re a single mom. Maybe you deal with chronic pain or illness, or perhaps you’re taking care of a loved one who is going through a health crisis. There could be many reasons why life seems overwhelming and discouraging. I’m going through a very stressful season myself right now. Something that really helps me get back on track is to simplify and get back to the basics. The one thing that can make such a difference—that can revolutionize your whole day—is to make sure you have a good evening routine in place and then follow that routine every evening. The evening routine is the foundation for every successful day. Yes, it makes that much of a difference! When I take the time to plan and implement a well-thought-out evening routine, it can completely change the course of the day to come, setting me up for success before that day even begins! And the reverse is also true. If I fail to plan the night before, I can almost always guarantee that the day to come will not be nearly as successful or as productive as it could have been. So, the one thing that could revolutionize your whole day is simply this: create and follow an evening routine. 1. Do a quick pick-up, especially in the kitchen. I love waking up to some semblance of order. My goal is to do a quick pick-up of the whole main living area, but if I don’t have time or energy for that, I at least make sure the kitchen is clean. I try to clear off the table, wipe down the counters, and make sure the floor is swept. 2. Set out something for breakfast. 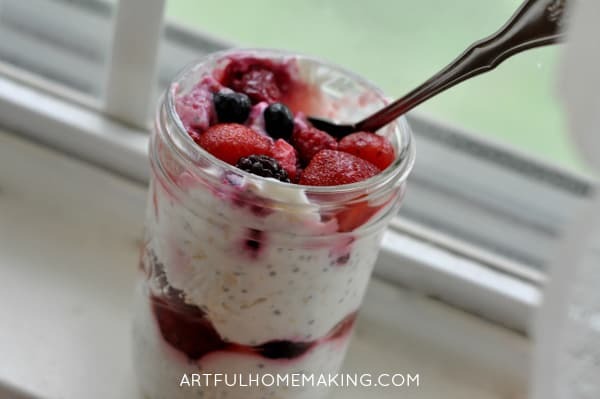 We try to always have something planned for breakfast, whether it’s oats soaking for oatmeal, bread thawing to go with scrambled eggs, or just some granola or cereal. Just knowing what’s for breakfast one potential area for confusion is already eliminated. The best breakfasts are those that are at least partially prepared ahead of time, like this simple breakfast casserole. 3. Make a to-do list for tomorrow. This is something I do almost without fail because it’s a habit and I almost can’t go to sleep without doing it. I love to sit down with my planner and plan the next day. My days don’t always go the way I’ve planned, but at least I can write down the most important things and try to get to them. If I don’t get to them that day, I just move them to the next day. Writing in my planner before bed helps my brain to relax! 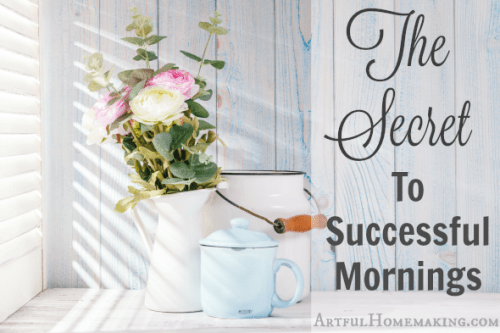 Once you get in the habit of doing these three simple things every evening, you can be more detailed with your evening routine, such as setting out the clothes you’re planning to wear the next day, making sure you have a weekly menu plan, and anything else that would make your days flow more smoothly. 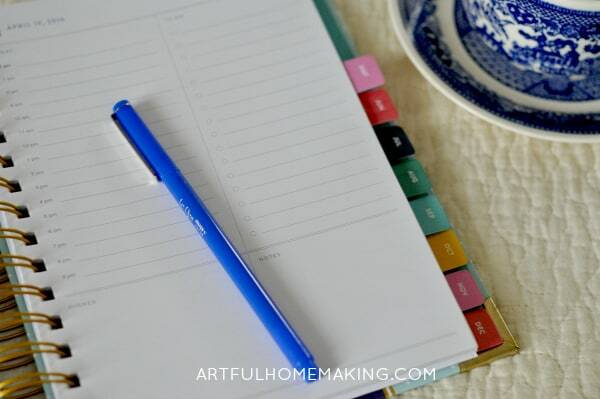 Do you need help planning and implementing your evening routine? Sometimes it’s nice just to have someone walk you through it! I’ve been taking a refresher course from Crystal Paine called Make Over Your Evenings, and I’ve gained some new insights and encouragement from it. If you’re overwhelmed by all you have to do, if you wish you had more energy and focus during the day, or if you often get to the end of the day and feel exhausted and discouraged, this course is for you! 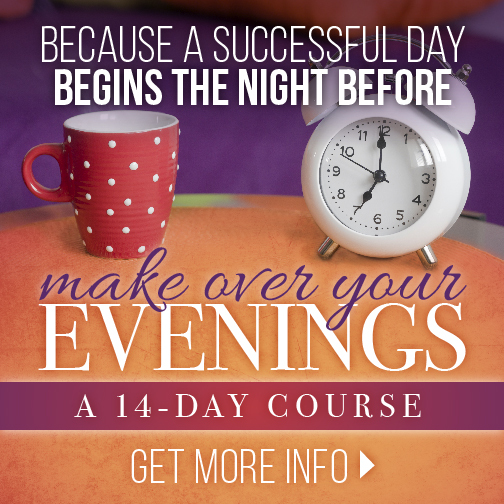 If you’re wanting to create an evening routine that will revolutionize your days and you need some help getting it done, I highly recommend the Make Over Your Evenings course! This post contains affiliate links. Read my full disclosure policy. Sharing here. 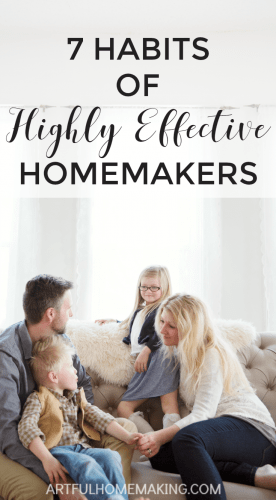 Thank you for these ideas that can make better my everyday life at home … overseas , too ! I’m so glad if they’re helpful ideas! Thanks so much for stopping by, Franca!